DIY wedding decorations are not only trending, but they can save you quite a lot of money, provided you have the time to make them yourself. We are going to give you the recipes for some awesome DIY wedding decorations. You can ask your bridesmaids to help you make them, which can provide some more hours of fun with your best friends. Romantic, beautiful and not that hard to make, paper lantern are a great way to create an amazing wedding atmosphere once the night falls. You can place them on the stairs to the venue, at the venue entrance or wherever you feel they look best. 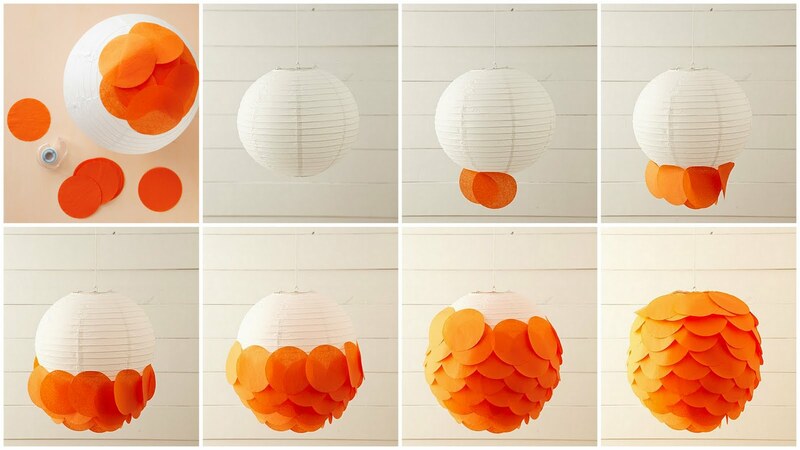 You need some paper, pieces of cardboard to use as support, some solid glue, scissors, crayons and, of course, candles. You can write personalized messages on the paper or you can draw stars and hearts. You don’t need to be a florist to create some awesome table decorations. With the right transparent or semi-transparent bowls, you can have your own handmade decorations. 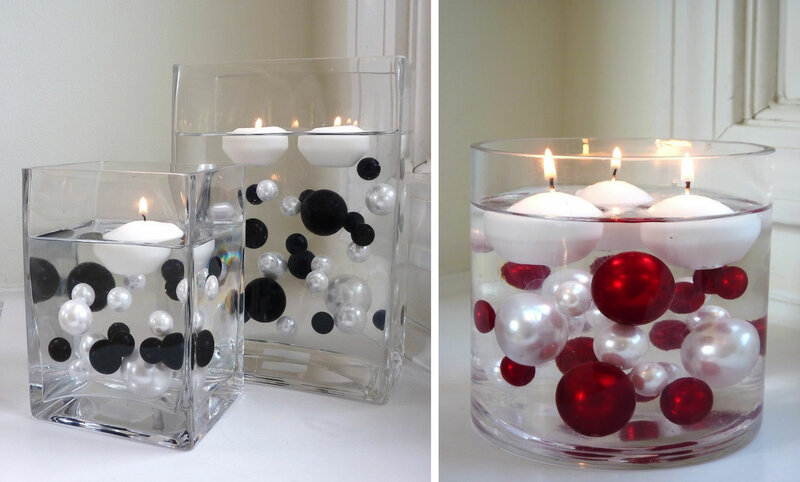 Just place some colored candles inside the bowl, after filling them with water. The decorations can also include some flowers and flower petals, stones or leaves. Why not put together a happy corner for all your wedding guests? People love taking photos at wedding, especially since they are all dressed up and looking their best. By setting up this corner, you can ask the photographer to take some funny pictures of your guests with some props that you can bring yourself. You can use colorful sunglasses, funny umbrellas and even paper-made mustaches. Why not give your guests the chance to prepare their own drinks? This could make for a wonderful wedding experience. All you need are lasses, several types of wine and a lot of different fruits, like lemons, oranges, grapes or strawberries. Let the guests’ imagination do the rest. 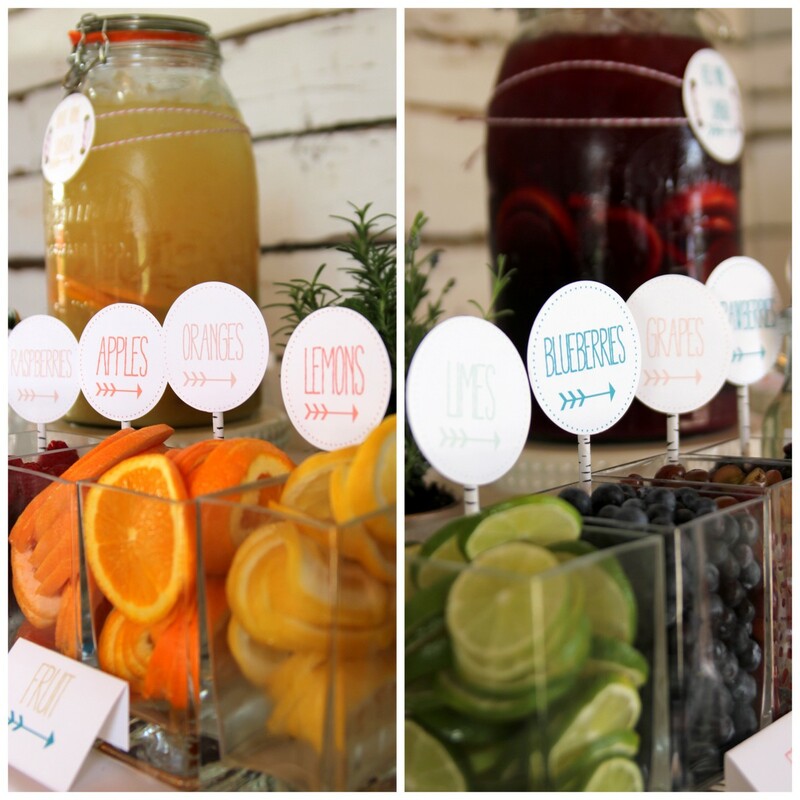 If you have lots of guests that don’t drink alcohol, you can also create a lemonade bar. Buy bottles with syrup in several flavors, so that your guests can create lemonade in flavors that vary from strawberry to passion fruit.